This is the blog site of AcKnowledge Consulting and Keith De La Rue. Main focus: Optimising Sales Force efficiency by effectively managing and delivering the knowledge required to meet customer demands. How this is done: By building a managed knowledge transfer toolkit. You took my loss – you made me whole. Here before all – our promises entwine. Now – in this place – I choose you. Research has shown that conversation is important for improving innovation and collaboration. 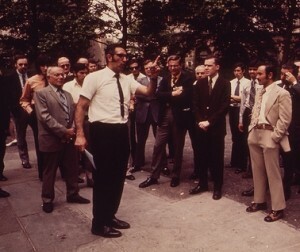 It has also been found that conversation improves group and individual performance, intelligence and knowledge sharing. This practical workshop will address some of the principles of innovation and how conversational techniques can be harnessed to improve business outcomes. You will also practice effective conversational techniques. You can read more of the background in this chapter from the Ark Group report Innovation and Transformation Through Knowledge Management. We all like to have a chat with friends from time to time. Recent research has shown that this is not only a good thing to do, but that conversation – particular types of conversation – can actually make us smarter. It has been shown that conversations can improve the performance of groups and help us to be more innovative, as well as make us individually more capable at problem-solving. This article describes how meaningful conversations can be used to improve knowledge sharing and business outcomes, and summarises five rules for more innovative meetings. As posted here before, I wrote a version of The Innovation Conversation a while ago for the Ark Group report Innovation and Transformation Through Knowledge Management, edited by Evie Serventi. This article is now available for download from this site. Since then, a slightly condensed version of the article has also been published in the May 2014 issue of iKnow – The Magazine for Innovative Knowledge Workers. This magazine is issued twice a year by the Institute for Knowledge and Innovation – South-East Asia (IKI-SEA). 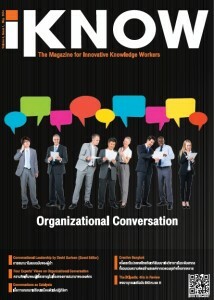 This time, my piece is presented as part of Conversation – An Overlooked Technology, a collection of articles on organisational conversation, guest-edited by David Gurteen for this issue of iKNOW. David explains the background of this work on his site. 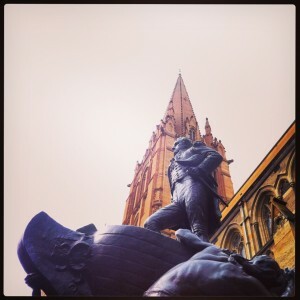 Are you leading an organisation in Melbourne? Looking for a good, fun team-building event? How well do you know Melbourne? Try the AcKnowledge Urban Challenge! The AcKnowledge Urban Challenge is part race, part scavenger hunt and part puzzle. Armed with a clue sheet, map and a list of questions, your people will attempt to find locations and solve challenges across the Melbourne CBD, in teams of four to six, over two hours. This event is a game of strategy that involves walking, teamwork and using collective brainpower to plan a route around the city. At the locations, they will solve puzzles – including trivia, history, mathematics, geography and observation – and perform a few light physical endeavours. Personal branding is about you. It’s about you presenting yourself to an audience. It’s about you standing out. But there are two sides to this coin. On one side, you need to understand your audience, and you need to know what will speak to them – what it is you need to present that will connect with them. The other side of the coin is you. It’s who you are. You are the sum total of your experiences and what you represent to your audience. This quote is from Nancy Dixon’s recent blog post Bringing the Flow of Knowledge to a Standstill by Speaking with Conviction, cited by David Gurteen in his post To improve learning – don’t speak or write with conviction. David also ties this concept in with a related concept about learning by Ellen Langer, from her book The Power of Mindful Learning. Her point is that if we are taught to do something by repetitive practice to the point that we can do it without thinking then we are unable to discovery or deal with situations that may require a different approach. I would also like to introduce a third concept here – the idea that listening to inspirational teachers may be more enjoyable than listening to boring speakers, but that we actually don’t retain learning any better from the inspirational speaker. This idea comes from recent research by Shana Carpenter, discussed by Annie Murphy Paul in the post Do We Actually Learn Anything From TED Talks?. My previous article on The Art of Conversation has now been updated and published as a chapter in the Ark Group report Innovation and Transformation Through Knowledge Management, edited by Evie Serventi. This version is repitched as The innovation conversation. This came along just after I presented on the topic at KM-UK in London in June last year. The report can be ordered from Ark Group here. You can also see the contents listing and a summary here. Other chapter authors in this report include Dave Snowden, Stephanie Barnes, Debra Amidon and Nick Milton. Do you want to use Twitter for business or pleasure? What to you want to achieve with Twitter? I won’t be telling you how to get 300,000 followers; but I can tell you how I have got to 1,400! Working on joint project – questions and answers. Offering tech help – stuck volume control on iPad. Reading thoughts: “Closed networks are ignorance amplifiers”. News: The world’s lightest material has been created – a nanotechnology metal grid 100 times lighter than polystyrene foam. Sharing domestic activities: Making Christmas pudding. Seems I’ve been featured in IABC Victoria online properties three times recently. I was interviewed in March on The link between comms and knowledge management for the chapter blog, and I was profiled in the February Connect newsletter. Now I am the subject of an article published on the main web site – Tweak your business conversations to achieve more, highlighting the topic that has been discussed on this blog before, and mentioning my upcoming appearance at KM-UK in London in June.